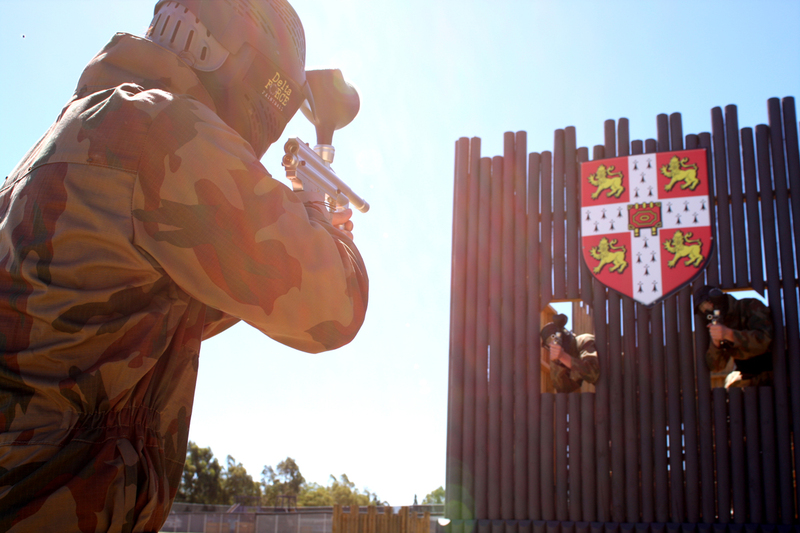 The latest paintball centre to open in Australia is Delta Force Bonneys, which had its grand opening last weekend! Located just 30 minutes south of Perth CBD, Bonneys exceeded all expectations and delivered an incredible day out for all of the inaugural players. Judging from all of the feedback on the Bonneys facebook page and through an abundance of emails received at Delta Force HQ, it’s safe to say that Delta Force has delivered another amazing movie-set quality paintball centre. On your full day paintball experience at Bonneys you’ll encounter 12 – 14 action-packed games, most of which have never been seen on Australian soil. Whatever the occasion, bring your family, colleagues or friends along and see for yourself what all of the hype is about. Attempt to pass the giant sphinxes and enter the pyramid to capture the ancient relic, or intercept the terrorists before they successfully attack your military communications base. Will you be able to carefully execute a plan to enter enemy territory and bring back a wounded soldier? Experience all of this plus more on your day out at Bonneys! 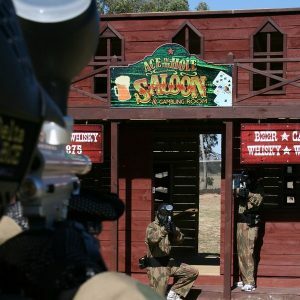 With the minimum age being 12 years to play paintball in Western Australia and the summer holidays fast approaching, now is the perfect time to get the family together and have a fun day out in a safe, comfortable and action-packed environment. Delta Force Paintball is the world leader in paintball games and has safely entertained more than 3 million customers in Australia, New Zealand, the UK and Ireland. 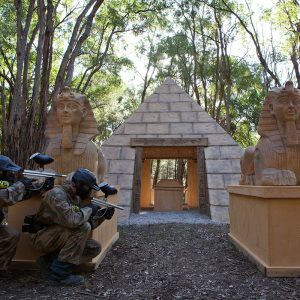 We have what it takes to provide you with the ultimate Perth paintball adventure! Your safety is our primary concern and you can rest assured that Delta Force Bonneys stocks the latest equipment in the paintball industry. On the day of your event you will receive full head protection goggles, a full-length camouflage body suit, body armour to protect the upper torso and an ammunition pack. Saving the best until last, each player will be armed with a 0.68 calibre Inferno Machine Gun, ensuring the scores are level and everyone is on the same playing field. All of this impressive equipment, in addition to our world-class facilities, will ensure that you have the very best Perth paintball experience possible. 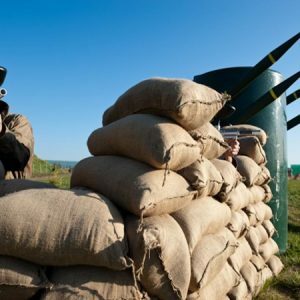 To book your next Bonneys paintballing experience, call us today on 1300 850 744. Click here for more information on Delta Force Bonneys.